A valued colleague of mine provided this memorable quote at a recent HR event. He’s usually really good at shock value and this quote didn’t disappoint. However, this statement is also true. We are all familiar with the studies; there is powerful data indicating that companies with engaged employee groups will outperform their non-engaged competitors. 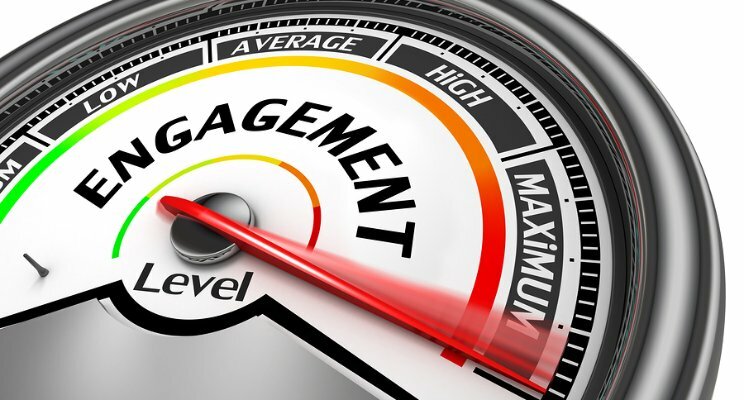 There are a ton of engagement measurement tools out there, some good, some not. Measuring engagement is possible and indeed valuable as a starting point. Yet, in spite of the power of employee engagement and the ability to measure it, few organizations have done well in making a difference to improve it. The big questions have become, “How do we actually move the needle? How do we as an organization improve employee engagement?”. Many organizations (including their HR folks) continue to believe you can somehow magically “fix” employees into having better employee engagement. “The beatings will continue until morale improves.” This seems obviously stupid, yet continues to be the way leaders and HR seem to want to address those with “bad attitudes”. Even worse, many employers and HR professionals want to deal with superficial symptoms, or even try to buy their employees’ hearts to increased engagement. Employee Engagement cannot be bought, not with higher salaries, not with bonuses, not with free lunches, not with the annual holiday party. Do not expect to buy your employees’ commitment or loyalty. Free lunches, gifts, parties, even more salary don’t overcome or fix the root cause problems of your organization’s culture. There is nothing wrong with having fun events at your organization and paying your people meaningfully. However, if you rely on band-aids to achieve employee engagement, you will not make a difference (unless you make it worse). Employee engagement must be earned. So if trying to “fix” employees doesn’t make sense and money doesn’t make it better (long-term), how do we make a difference with our organization’s Employee Engagement? How do we earn employee engagement? Ensure employees understand what is expected of them in their role. Ensure employees understand why their role is important and how their work positively impacts and contributes to the greater purpose of your organization. Inspire them! Ensure employees have the equipment, training and environment in which they can excel in performing their role. Show recognition and appreciate the work your people do, continuing to draw lines between their performance and the impact that it has on the goals of the organization. Deal with issues and concerns and resolve them, even when they’re uncomfortable. Provide a positive environment where people work together respectfully and collaboratively. Care about your people. Care (and do something about) their professional growth for their current role and beyond. Care about them as people beyond their professional growth. Who is in control of the above items? Although HR may think they are in control of the above, the people that have the everyday control and impact over all of the above items are the Supervisors / Managers. Leadership and the communication that leaders provide are essential in Employee Engagement. Leaders have control over the things that matter most to employees and their level of engagement in the organization. Employee Engagement has everything to do with leadership, especially front line leadership. Why do you think that employees leave organizations because of their Supervisor more than any other reason? Employee Engagement has nothing to do with employees, it has everything to do with leadership. The next time you think about offering a free lunch for all employees or some sort of employee event, maybe evaluate if you should be investing in your leaders instead. The benefits from a free lunch last for an hour (if you’re lucky). An improved leader with honed skills may positively impact your organization for years to come.